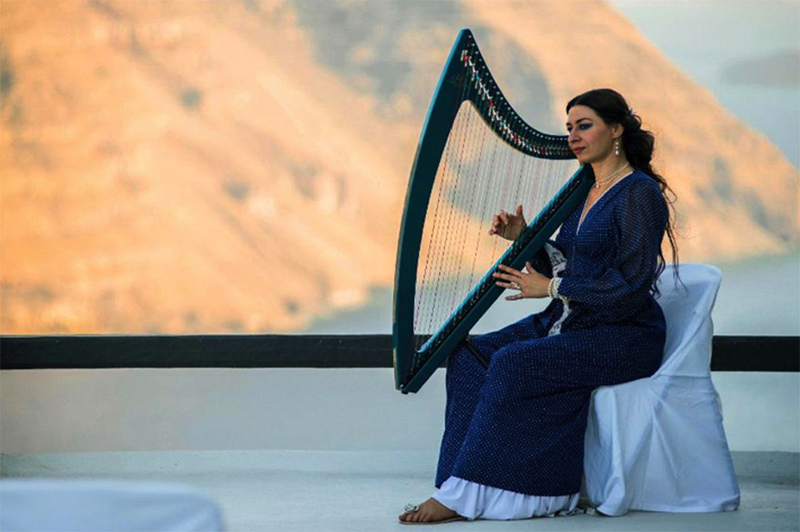 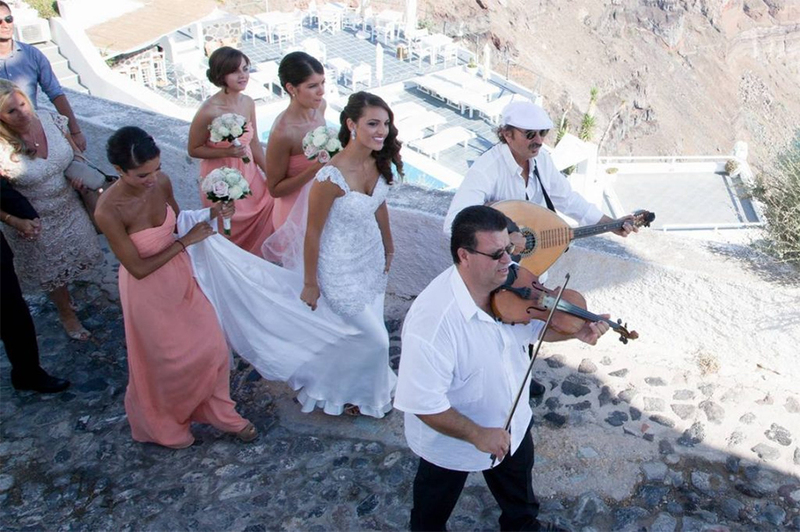 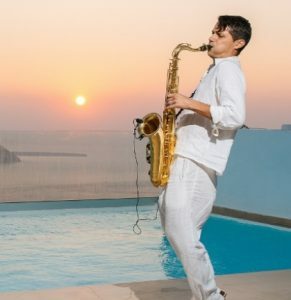 Santorini wedding Entertainment by Santorini wedding planner. 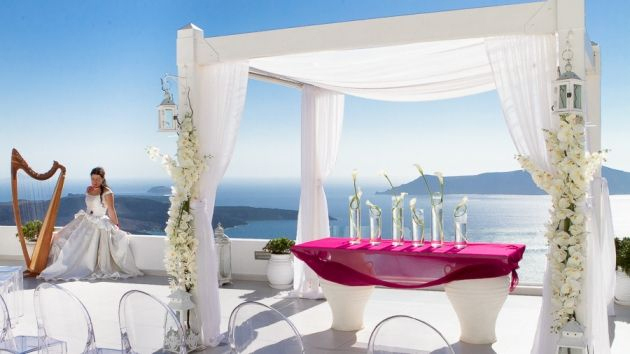 Santorini is here to satisfy every desire of yours. 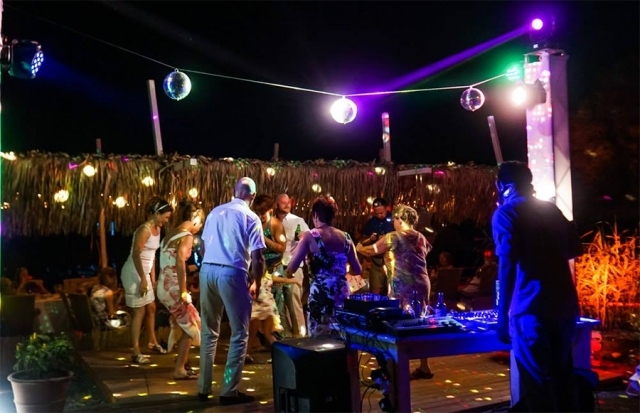 Overlooking the caldera, or hidden within the narrow streets, the most favourite cafés for relaxation and nice friendly chattting… The Santorini beach bars.Santorini has something for all.Chill or dance till our drop at the Santorini beach bars. 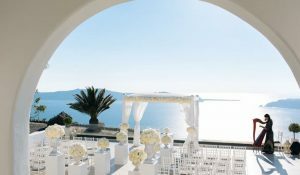 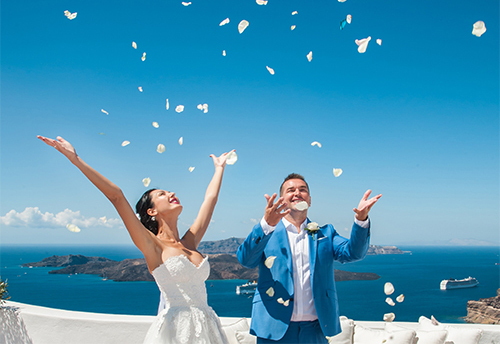 Santorini Wedding Planner are able to organize the entirety of your stay in Santorini. 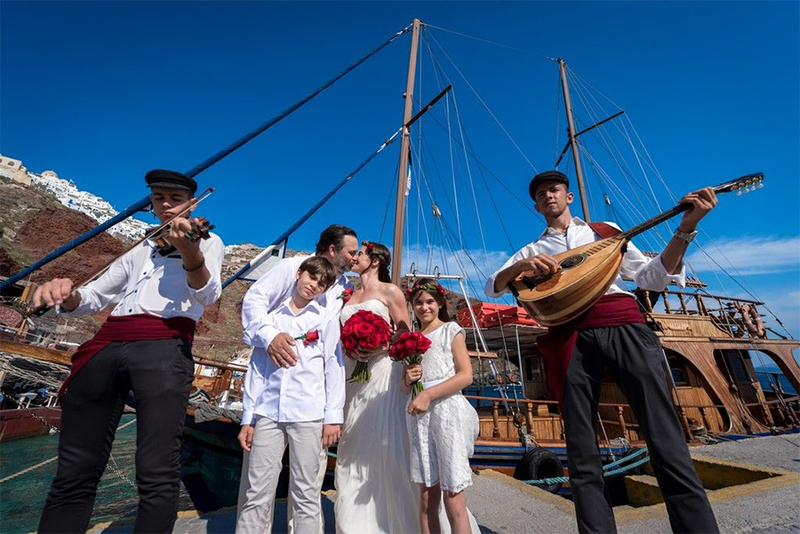 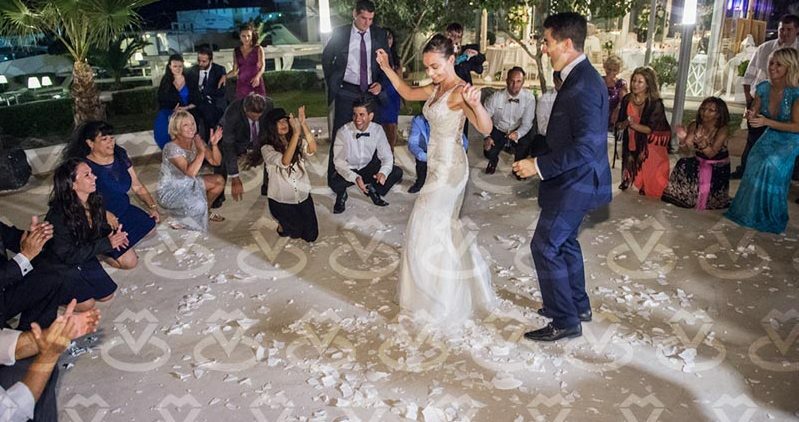 We can provide you with the best entertainment and organize a lot of activities making your wedding day in Santorini, an unforgeable experience not only for you but for family and friends traveling with you to Santorini for your wedding day. 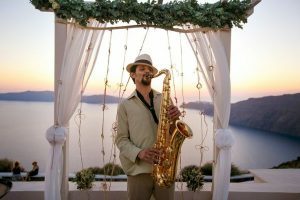 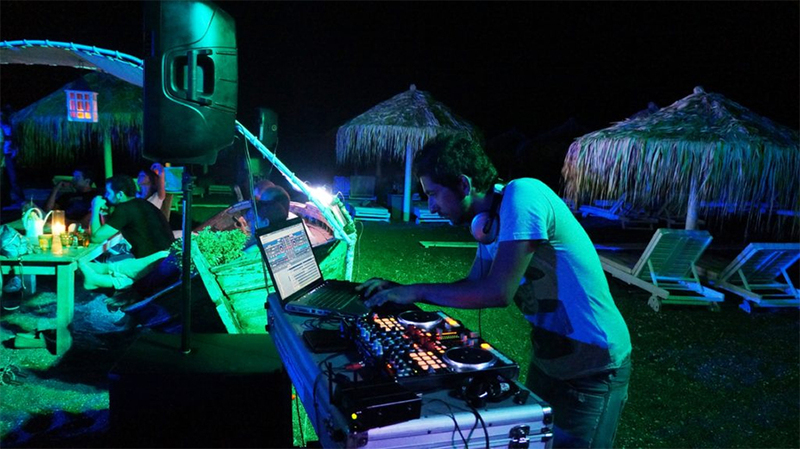 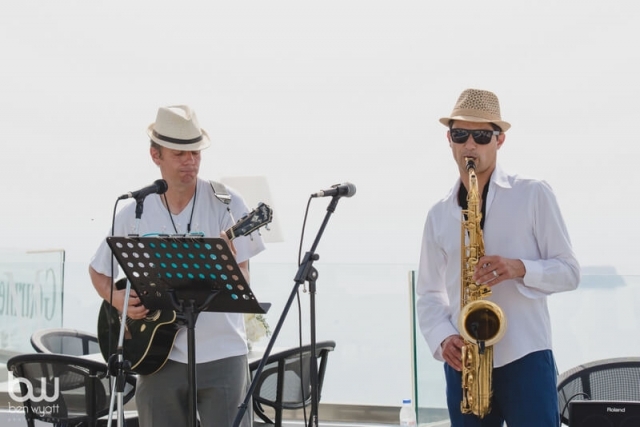 We arrange selected DJs, live bands, musicians and entertainers for any type of celebration style. 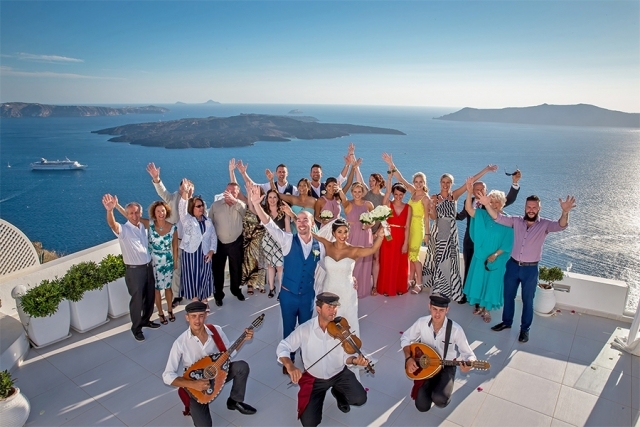 As Santorini wedding planner I would definitely suggest to have Greek dancers at your reception party, fireworks, flying lanterns, Photography tours, ( before the wedding ceremony or after the ceremony) wine testing and much more. 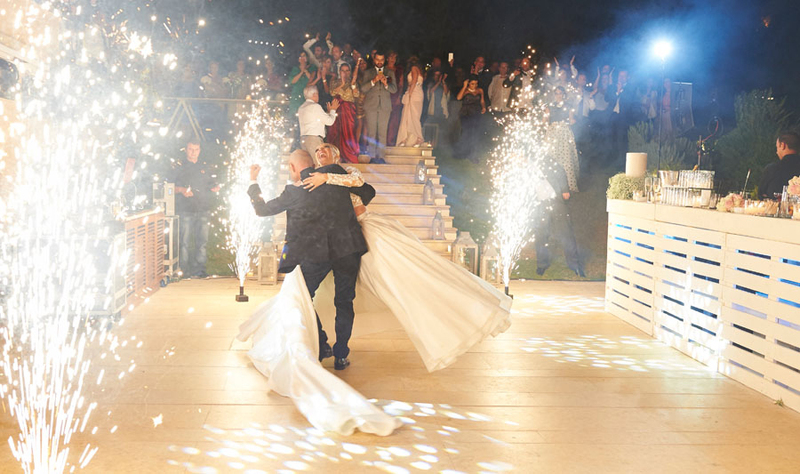 The day of your wedding should be a party to remember for a lifetime.